"To simplify, that is to release the thought; the simplest conception proves to be the most beautiful." The works of the great 19th-century muralist Puvis de Chavannes, a pivotal figure poised at the threshold of modernism, still adorn public buildings in Paris. Their classically-inspired allegorical themes invoke a timeless, pre-industrial past, adhering to the rules of painting established in the Renaissance. However their shallow, collapsed spaces and broad swathes of color do not adhere to these rules, thwarting proportion and perspective. His own style incorporates bits and pieces of the new and the old, and achieves the transcendent effect that was his goal. Toulouse-Lautrec, Van Gogh, Gauguin, Matisse and Picasso (the list reads like a "Who's Who" of modernism) recognized him as a visionary, and he in turn admired the new generation of anti-academics. 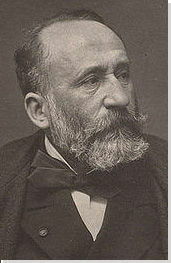 In his public commissions he focused on themes that pleased the French government (family, order, loyalty, etc. ), but he also supported and mentored avant-garde artists, and his work evolved in tandem with theirs. Puvis was one of few academics of any time period who was able to see change coming and adapt to it - the mark of a truly great mind. His murals are the ancestors of today's public art. Dependent upon context for meaning, his works were meant for site-specific city spaces. Their allegorical subjects related to the specific goals and aims of libraries, schools, and other civic spaces. They were meant to address a broad audience that went beyond the public that visited museums and galleries. Audiences deeply appreciated this dimension of the work as part of the architectural space and institutional life of the city. The tranquility of Puvis's scenes might lead us to believe this was a quiet period in history. In fact, he constructed his dream-like pictorial fantasies in the wake of the Franco-Prussian War and the Commune (1871-1872). During the war, Paris citizens survived on a diet of rats and water and under the Commune (an attempted coup that resulted in a blood bath), civic spaces were destroyed and the city hall burned. As such Puvis was part of a city-wide effort to repair the morale of the nation. The escapist dimension of his work is all the more poignant when we realize the 20th century would be even worse. This is also part of the legacy of abstraction. As Paul Klee (another Puvis admirer) put it, "the more horrifying this world becomes, the more art becomes abstract." Like many great artists, Puvis doesn't fit neatly into one movement. His career overlapped with Impressionists, Post-Impressionism, and Symbolism. He engaged, mentored and learned from artists involved in each of these movements. Pierre-Cécile Puvis, later known as Pierre-Cécile Puvis de Chavannes, was the youngest of four children born to Marie-Julie-César Puvis and Marguerite Guyot. His father found success as a chief mining engineer and encouraged his son to follow in his footsteps. Puvis lost both parents as a teenager - his mother in 1840 and his father in 1843. 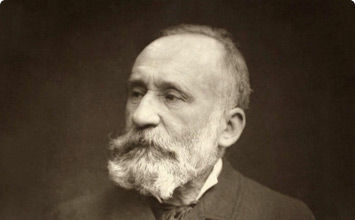 In 1841, he attended the Lycée Henri IV in Paris and prepared for admissions to the Ecole Polytechnique. However, he decided not to sit for the exams, much against his father's wishes. At a later date, Puvis once again did not take the entrance exams - this time due to illness - and discontinued attending classes at the Faculty of Law. To regain his health, he spent two years in Macon with his sister Josephine and her husband. Interactive chart with Pierre Puvis de Chavannes's main influences, and the people and ideas that the artist influenced in turn. First published on 02 Mar 2016. Updated and modified regularly.